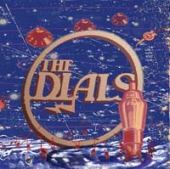 The Dials play themselves through a couple of decades of popular music and different styles. Starting with a surf sound, playing some country songs, jamming in the garage they get really psychedelic in the end. "The Coracle" could have been an early Pink Floyd track. "Me Soh Fah" is the longest track with 9 minutes and the most experimental one. It all come to an end with a catchy floating psych pop tune "Been Inside Your Mind" of 6 minutes length. A really interesting record.